The world of truck transportation as we knew it has completely changed since the end of December 2017 when E – Log rules went into effect which strictly monitors the length of time a driver can drive in a 24 hour period. The mandate for trucks to use this electronic log book was fully impletmented as of April 1, 2018 and brought to the surface just how problematic driver shortage is. Throughout 2018, food producers have noticed rising costs associated with truck freight shipments. These spikes impact vendors at every point in the food chain, from grain producers shipping unrefined crops, to dominant manufacturers including Kellogg, Tyson,and Del Monte to trading companies trying to move their cargo to the docks. These vendors all identify high transportation costs as a threat to profits in 2018. As of the first quarter, there were not enough trucks to transport the volume of goods needed. According to DAT Solutions, L.L.C., for every 12 loads of goods, only one truck was available – the most challenging ratio since 2005. For goods that were transported, trucking became more expensive in 2018. DAT Solutions estimates that rates have risen by 20%, all the way to $2.14 per mile by August 2018. Fuel costs climbed in 2018. As the price of diesel increased by 19% from 2017, fuel surcharges put a strain on manufacturers. In dollars, increased fuel costs translated to a shift from under $3 per gallon from 2014 through 2017 to an average of $3.31 per gallon as of October 2018. Driver shortages have also pushed truck transportation costs up. According to FTR Transportation Intelligence, the second quarter of 2018 saw a record number of 296,311 driver vacancies! Companies that employ truck drivers continue to see extremely high turnover, with long-haul driver turnover at around 90% according to the American Trucking Association. As companies struggle to hire and retain permanent truck drivers and contractors, many are offering higher pay, referral bonuses, and sign-on bonuses in an attempt to entice new hires. Some offer as much as $10,000, and even Walmart has shaved 40 days from its onboarding process and has offered a $1,500 referral bonus. Still, some experts believe that the toughest obstacles will soon be in the rear view mirror. 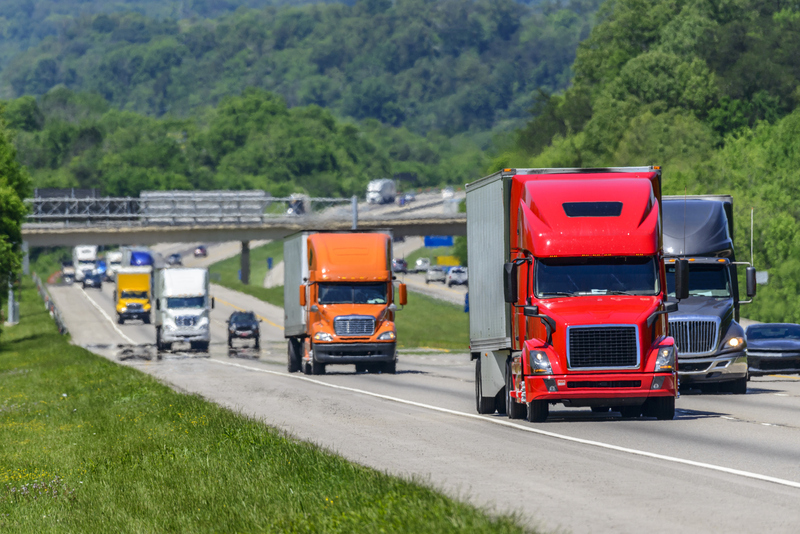 Although the driver shortage is expected to continue, which will most likely keep truck rates high, we have seen the rate of increase slowing down.